Battery info at your finger tips. 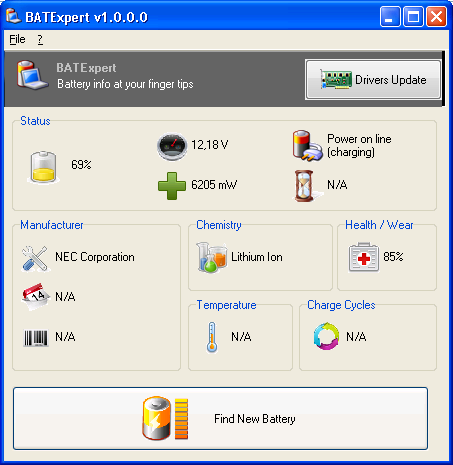 BATExpert gives you a crystal-clear vision of your laptop battery health status. It then recommends upgrade if appropriate. 4,478 6,311 KC Softwares <img src="https://www.oldergeeks.com/downloads/gallery/thumbs/batexpert_screen_th.png"border="0"> Sep 21, 2018 - 11:29 1.11.0.17 2.12MB EXE , out of 9 Votes.